I was in Munich this weekend. For some reason that I can't fathom myself, I don't like Munich. And Munich doesn't like me. Whenever I have to travel to or from Munich, the public transport system - trains, trams and the underground - conspire to keep me from getting there. And once I do get there, I inevitably get lost and spend a lot of my time walking around in circles - usually in the rain, preferably with gale-force winds, and because it has taken me an extraordinarily long time to actually get to the Bavarian capital, it's usually dark as well. And that's how it came to be that I was wandering around an industrial estate in the driving rain at 8 p.m. on Friday night, my print-out of the city map sodden and illegible, cursing Munich. I finally gave up, grabbed a taxi and had the nice taxi driver bring me to my destination. "Mama! A digger!" His pudgy finger tapped the glass and we all turned to look. There in distance we saw a digger on the building site next to the station. "A digger!" 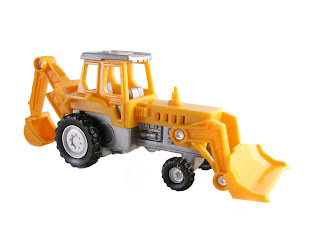 he shouted, "A digger, look, Mama! Look, a digger!" "I see it," she said. "I know, it's a digger." "A digger!" he shrieked, more urgently. She nodded and tried to get him to sit down. "A digger!" He hammered the glass with hands. "Mama, Mama! Look, look, a digger!" She tried to pull him away from the window, but she was no match for the magnetic attraction that building machinery holds for little boys. "A digger, a digger!" he shouted. Not satisfied with her lack of excitement, he turned to me. "A digger!" he said, banging the glass. "Look!" "Wow," I said, as appreciatively as I could. "A digger. Goodness me." Disappointed, he turned to the Gingerbread Husband for manly support. "A digger, look, look. A digger!" Husband made impressed noises, but not even that was enough. "A digger, look!" he implored the rest of passengers and, obligingly, they all looked out the window and oohed and aahed. "Shhhhh, come away from there," his mother said as the train began to move. The movement of the train just made it all the more exciting. "Look, look, a diggerdiggerdiggerdiggerdigger!" he shouted, then suddenly realised that we were moving away from the digger, and not towards it. "A digger," he said mournfully, his little finger making a smear on the glass. "A digger." Then, barely more than a whisper, "A digger." All of the passengers shuffled uncomfortably. Never before had we been so profoundly affected by the loss of a digger. The little boy peered over his mother's shoulder and watched the digger disappear in the distance, then pressed his nose to the window and silently watched the houses whizzing by. The tram slowed and pulled into the next station. The Gingerbread Husband and I got up to leave, gathering our things and nodding goodbye. As we were leaving the tram, we heard the little chap shout, "Mama! A bus! Look, Mama, a bus!" And as the electronic doors whooshed shut, we heard his squeaky voice shout, "A bus, Mama, look, look, a bus, a bus, it's a busbusbusbusbus - "
Our last glimpse of the little boy was his rapturous face pressed up against the tram window, his fingers splayed like little starfish on the glass. By chance I stumbled across a few old episodes of Little House on the Prairie on YouTube and spent a happy couple of hours in a simpler age. Those were the days when children almost burst an artery with joy at the prospect of getting a piece of liquorice for their birthday. Oh yes, and Nellie Olsen is every bit as mean and nasty as she was 30 years ago - just in case you were wondering. The sad thing is that we, as children, derived a significant amount of our LHOP (that's Little House on the Prairie, by the way - apparently that's what the cool fans call it) viewing pleasure from mocking our mother. When LHOP was shown on the Irish television network in recent years, it was shown on Sunday morning. My mother liked to plonk herself down in front of the telly with a bowl of cornflakes and a plate of cold, burnt toast (cold and burnt her preference, not a reflection on her gastronomic skills) to watch Maw and Paw Ingalls battle with the hurricanes, earthquakes, outbreaks of measles, tuberculosis and plague, blizzards, droughts, alien invasions and all manner of disasters that seemed to hit Plum Creek on an almost spookily regular basis. Rather than realise that they'd chosen the most unfortunate - nay, cursed - spot on God's green earth to set up their little homestead, the Ingalls and their fellow townspeople battled a broad spectrum of catastrophes and misfortunes, and there was always - always - a happy ending. Unless it was a two-parter, then you'd have to wait till the following week. In any case, my mother liked to eat her cornflakes and have a cry while Paw Ingalls singlehandedly built an orphanage or Maw Ingalls nursed a foal back to life. I'm quite sure she looked forward to her weekly weep with relish. You see, part of the series' attraction was the fact that it was shown at a time when my father was still comatose in bed. His reaction to LHOP generally involved a rant about what a stupid, sentimental, soppy heap of nonsense it was (and please note: I have considerably condensed a 30-minute rant, and have also edited it to remove some of his more colourful euphemisms). Unbridled, my father's rant would extend beyond the one-hour episode and we'd be treated to a treatise on the failings of the media world in general. Entertaining and all though it may have been, it certainly spoiled my mother's ability to really enjoy the episode. Apparently, this was a common problem in Irish homes, because some bright spark in the programming department of our national television stations decided to air LHOP at a time when most Irish fathers were sure to be enjoying their Sunday morning lie-in so mothers all over Ireland could sob into their Rice Krispies with gusto (while their heartless children fell about the place laughing in the background.) It seemed to work because it ran in that slot for years; I'm sure many marriages were saved as a result. So what's the point of all this, you ask? (But let's be honest, here: you ask that a lot while reading this blog.) Basically I found myself crying into the baking bowl this morning while watching Laura Ingalls give Bunny - her beloved pony - to Nellie Olsen, in exchange for a new stove for Maw. As I filled cupcake cases, I was battling a trembly lip when Paw lost his job at the lumber store and the family were faced with starvation and Certain Death. In the fine Irish tradition of husbandly lie-ins, my gingerbread husband stumbled out of bed at a disgraceful hour, hair a-fuzzed, and found his wife icing cakes and contentedly sniffling. It was great. I'll have to make it a regular Sunday morning ritual. 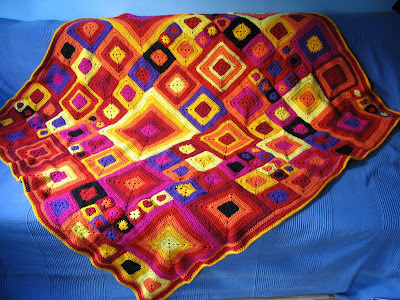 The Babette blanket also uses a solid granny square, a square I use a lot for baby blankets, for example, because little baby fingers won't get caught in the gaps between the stitches. 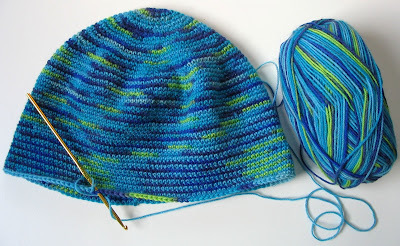 Either continue crocheting in the same colour or join a new one. Chain 3 in a corner gap, then do 1 DC [TR] in each DC [TR] in the previous round, 1 DC [TR] in corner, chain 2, 1 DC [TR] in same corner gap, then continue with 1 DC [TR] in each DC [TR] of the round below, and 1 DC [TR] + chain 2 + 1 DC [TR] in each corner. When I join the third colour, or continue with the same colour, I like to start in the corners. There are two reasons for this, both practical: (a) the starting chain-3/'fake' DC [TR] is less noticeable in the corner gap, and (b) when you finish your last row, you can leave a long yarn tail, which I later use to whipstitch the squares together. After that, you just continue, round by round, till your square is the desired size. It's finished. At long last! The pattern can be purchased here: Babette Blanket. Normally this pattern requires 17 different colours, but I only worked with eight: black, purple, cerise pink, deep red, bright red, orange, sunshine yellow and a paler yellow. Because I was working with fewer colours, I adjusted the pattern as I went along, so this finished blanket is actually more like a Babette-inspired blanket, rather than a true Babette. Nowadays it's better known as the compulsive desire to let the world know what you're up to on a minute-to-minute basis, but remember the good ol' days when twittering was the domain of birds, not politicians, popstars and people with a life that's apparently so exciting, they have to chronicle it, blow by blow? We're in the middle of a massive twitter attack right now because - tada - the migratory birds are back. This, our first spring in our new-old gingerbread house, has brought many surprises - not least the fact that the big tree behind our house is the meeting place for (what seems like) the entire local bird population. We hear them chirping late at night, long after the sun has gone down. In fact, they're still twittering long after midnight. In the darkness! And the first sound we hear in the morning is the sounds of manic twittering at 6 a.m. Do birds ever sleep, we wonder? Do they twitter in shifts? Maybe there's an avaian trade union? ("Okay, lads, we'll take the late shift if you take the early one. I reckon we can keep going till close to one a.m., if we all pull our weight. We'll give the neighbourhood a couple of hours of sleep, then you guys hit 'em with the dawn chorus." Here are the culprits. It looks slightly grim, doesn't it? There are Hitchcockian echoes, I'm sure. If I were paranoid, I'd go so far as to suspect that they were plotting something. Disclaimer: every time I make these cookies, they're delicious. But every time I make them, they're slightly different. I don't know how I manage it, but I do. And don't be tempted to use milk chocolate, even if you - like me - don't ordinarily like white chocolate. White chocolate is a must, not an option! Line an oven tray with baking paper.Place little rounded heaps of batter (no more than a dessert-spoonful) on the prepared tray, about 5 cm/2 inches apart. Bake cookies, one tray at a time in a moderate oven, for about 12 minutes. Transfer to a rack to cool. This pattern is for high beginners or intermediate crocheters. The pattern is not difficult, per se, but as we are working with a thin yarn, a small hook and in single crochet - SC in Am. Eng. [Br.Eng. 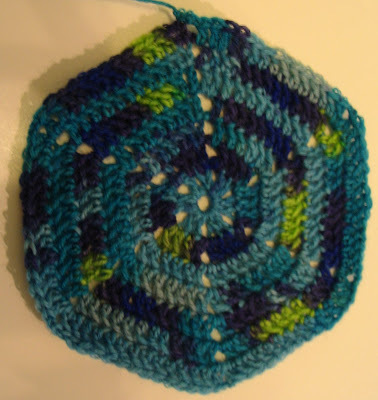 double crochet - DC], beginners might find it a bit more challenging. 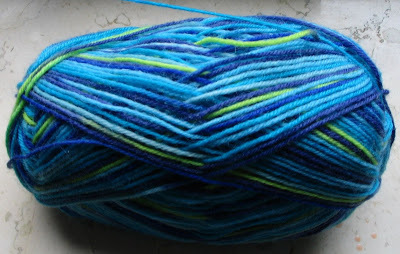 A word about the yarn used: we’re working with sock yarn, which is usually made of 75 % wool and 25% polyamide. Make sure the sock yarn you choose is non-felting: in other words, if it’s 100% wool, it will shrink and felt when you wash it – you’ll crochet a pretty hat for yourself, and after the first wash, you’ll end up with an egg cozy. 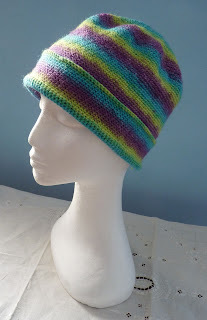 The self-striping sock yarn is usually designed for knitters, so the striping effect is best seen on a small stitch –that’s why this cap is done in Am. Eng. 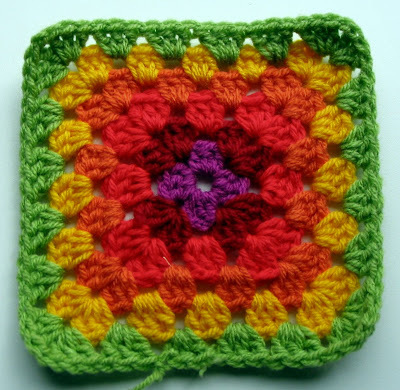 single crochet / Br.Eng. double crochet. The final result is a lightweight hat that’s not very soft and cuddly, but warm and durable! First of all, take a tape measure and measure the circumference of your head. The average woman’s head is approx. 55 cm / 21.5 in. The average man’s head is approx. 58 cm / 23 in. The crown of your hat should be the circumference divided by Pi (3.14). If you are not mathematically-inclined, just divide the circumference by 3 – that should be close enough! We’re going to make a hat to fit the average woman’s head, so let’s assume our crown is going to be approximately 18 cm / 7 inches in diameter. Just before joining with a slip stitch. The pointer shows where we'd join. From this point on, you increase in every second round (the even-numbered rounds.) You increase by adding one more SC [DC] between every double SC [DC] in every round. In other words, in round 8, you will do one SC [DC] in three stitches between each double SC [DC]; in round 10, you’ll do one SC [DC] in four stitches between your doubles. Every second round (the uneven-numbered rounds) will simply be a SC [DC] in each stitch. You continue to increase until you have reached the diameter necessary for your crown. Now keep crocheting in the round, till the hat is approximately 22 cm / 8 in from the crown of the hat to the brim (bottom edge). If you look closely at the photo above, you'll see that there is a slight ridge where each row begins. This isn't very noticeable if you're using a mono-colour yarn, but in the self-striping yarn it's easier to see, because the colour 'jumps' as you move up to the next round. 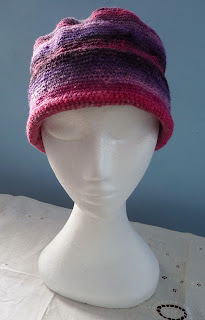 If you want, you can turn it so it's at the back of the hat, or you can find some buttons or pins to sew on to the seam, to make a more interesting hat! In winter, I add a brim to these hats. I crochet till the hat has reached approx. eyebrow level, then I start the new row by crocheting in the opposite direction - in other words, I turn the hat around and crochet back the way I came. You continue like this for about 4-5 cms, then finish the row and weave in your tail. This means that when the brim is folded up, the stitches facing out are the 'right' way around. This is Gladys. I bought her on Ebay for €5 and she arrived this morning, all wrapped up in newspaper. I originally bought her to model my hats, but she's already earned her €5 as a means to torture my Gingerbread Husband. Basically, I wait till he's engrossed in something on the computer, then have her peek her head around the doorframe and hiss at him, till he turns and jumps in fright. She's also very good at peering up over the foot of the bed. Apparently a white floating head rising above the covers at your feet looks a bit spooky. Who would've thought? My sunshine Babette is nearly finished - I just need one more skein of yarn. Naturally, it's the very colour that has been temporarily discontinued and is now on back order... of course it is. Anyway, with just one panel to go, the blanket is very nearly complete. The hat is now finished, ends woven in and buttons sewn on - and quite fetching it is, too, if I may say so myself. Pictures and pattern will follow in the next few days! Little did I know when this photo was taken that I'd end up having a life-long affair with bicycles. Yes, that's me. Stop laughing. That pinafore was the height of fashion in the 70s. I learned to drive at the ripe ol' age of 34, and not without protest. To this day, two years later (sshh! ), I haven't really mastered the whole automobility thing. I prefer the more traditional methods of transport: my feet and my bicycle. Living in the centre of a small university city, feet and bike are more than sufficient - in fact, my bicycle is one of my most treasured possessions. I bought it at the supermarket for €99 - a bargain, you will agree, AND I could cycle it home with my shopping in the basket. It's sturdy and heavy, with two baskets and bell - apparently it also has gears, but as my speed settings are At-A-Comfortable-Pace and Slightly-Faster-Than-A-Comfortable-Pace, I think the gears have rusted into place. Rust. Aaah, rust. The point of my post (as if not having a point has ever stopped me) is actually rust vs. my bike. My bicycle has been befallen by rust. Not surprising, really, because it's outside in all weathers. You see, I'm in a tricky situation: I live in a city where (thankfully) bicycle theft is the #1 crime. It's those darned students, you see - stumbling home drunkenly, they grab untethered bikes and make off with them. Sometimes, they'll even make off with tethered bikes: they're surprisingly tenacious when drunk and bicycle locks don't seem to be much of an obstacle. So my El Cheapo Bicycle, though much loved, won't be much of a loss when it goes the way of my last two bikes (darn you, students! ), but because it's a supermarket special, it's gradually being eaten away by the elements. When I cycle to work in the morning, the entire bicycle clanks and creaks - people hear me coming from far off: CREAK creak CREAK creak CREAK creak. I sound like Jacob Marley's ghost. People trudging to work in the morning look up in fright when they hear me coming: clank-clank, clank-clank, clank-clank. I give them an apologetic wave as I trundle past: Yes, yes, it's only me. No, it's not The Grim Reaper, just me in my woolly hat on my rusty bike. Carry on. Nothing to see here. As a result, I have bought myself a little bottle of oil and have to spruce up my wheels at the weekend. But as Murphy's Law of Bicycle Repair dictates, my bicycle will probably be stolen immediately afterwards by some tipsy youth. Nevertheless, I think I've reached the point where a bit of bicycle maintenance is almost unavoidable... I'd better get to it before I wake up to find the saddle and wheels perched atop a pile of rusty dust. Aha! I can do it after all! 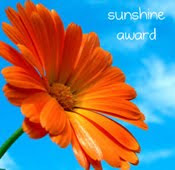 Hugs to Debi for her technical support!